We always welcome new clients to our hospital. 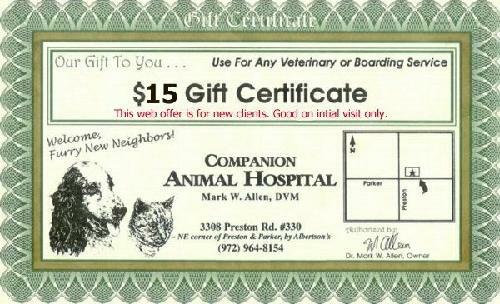 As an offer to you, we have a special gift for your first visit. Right click on the coupon below and choose "Print Picture" to print out your coupon. Then bring it with you for instant savings.